196 shots of assorted effects, including color pearls with report and crackle. 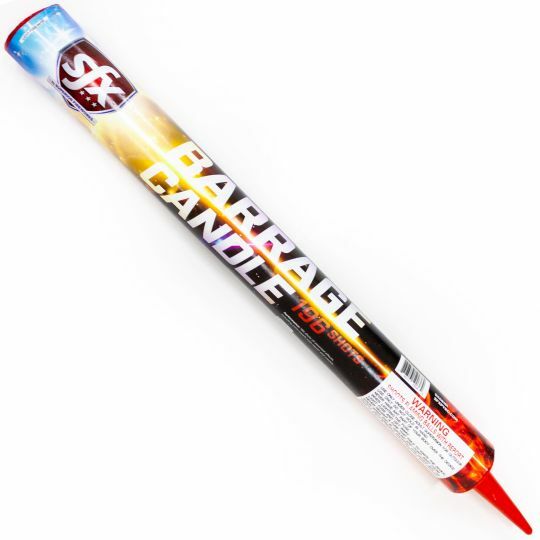 Three giant roman candles that each shoot over 100 rapid-fire shots! Cosmic Tails is a 5-pack of 5-ball Roman candles featuring silver comet tails to assorted effects. The fireworks I got where amazing, I will defiantly be buying from here again. The prices are great and the quality is awesome.